Well, it’s over! Our big night at the library is over and done! Seems like I haven’t done anything else but prepare for this for WEEKS! We ended up with 139 items, which is pretty stinking good! I think our attendance was way down though, it seemed kind of empty in there to me, except right at the end it picked up a little! There were lots of meetings around tonight though, and only so many people to go around. he *did* read them for a bit… then drop it in a pile and pull another off the shelf! Whose kid is that???? 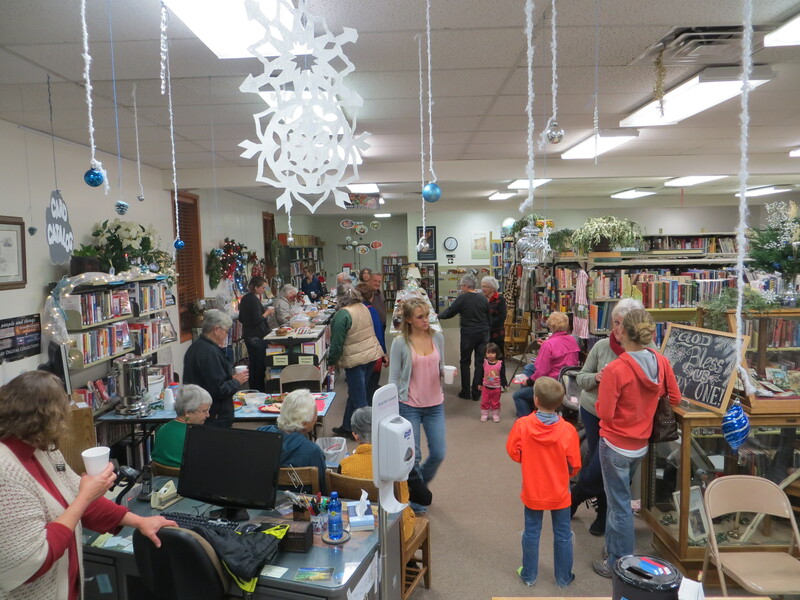 and the Friends of the Library made a little money… and people laughed and visited and told stories and teased and giggled and ate some great food! 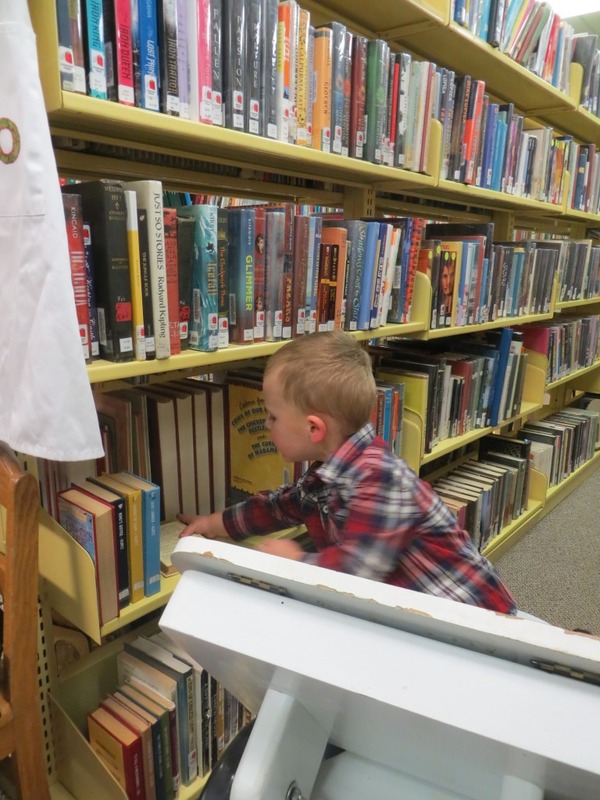 All in the name of small town libraries! Sounds like a good time was had by all. Where is the library? Congratulations. This sounds like a success. I know it was a lot of hard work. That little boy looks familiar. Although he reminds me of a former little boy who is no longer a little boy. Hmmmm. We had a great time there last night. Enjoyed seeing friends, eating your delightful cookies and snacks. Best of all was all of the wonderful items donated for us to bid on hoping to win and take home. Thank you! Sounds like a success amid the busiest of seasons! Does your library have any scheduled story times for children? Looks like everyone enjoyed themselves. Your Christmas decorations make the library very festive. I must visit my small town library. Have not been for a while and I will need to ‘search’ for my library card!!! !